What age should I begin thinking about a will? ​What process has to be followed to make my will valid? ​What exactly is an executor? Does the executor have to be a beneficiary? Do I need to name a specific guardian for my children? Will their guardian also be in control of finances left to them? What is the best way to provide for my children financially? ​I am divorced, how will that affect my will or my wishes for guardianship, etc? ​Will all my debts be settled before any money is paid out to my estate? How is it different from a will? What types of tax issues are involved with either a will or a trust? When do I need to consider asset protection? ​Is it illegal to protect my assets? Is this just a way to avoid paying creditors? ​Do I need to be extremely wealthy, or overwhelmingly in debt, to really need asset protection planning? ​​What types of assets can be protected, and from whom? ​I have heard that there are things that can be done while I am alive to make estate planning easier, such as adding someone’s names to my bank account now? ​At what point do I need to name a power of attorney? ​What are their roles, duties, obligations? ​Can I name more than one agent under a Power of Attorney? ​How much authority does an agent under a Power of Attorney give? ​Are there different types of powers of attorney? ​Can my named power of attorney misuse the power or steal from me? Can a power of attorney also make medical decisions on my behalf? The answer will depend on your personal circumstances. First, it is important to have a will prepared when you have assets that you would like distributed to particular people and particularly if the default state distribution laws of intestacy do not distribute assets in the way you prefer. Once you are of legal age, you should consider whether you should have a will. Secondly, it is useful to have a will prepared when you have children. You can name a guardian for your children in the event of your death and if necessary, set up funds for your children. A will is one part of an effective estate plan. Your estate plan may include trusts, powers of attorney, living wills and possibly other forms of asset protection planning instruments. It is advisable to review your estate plan when any significant changes take place in your personal family relationships or wealth status or when there are legislative changes that may impact your plan as it is currently written. Examples of lifestyle changes include marriage or divorce for you or one of your children, the birth of a child or grandchild, receipt of an sizable inheritance. ​Each state has its own requirements for a will to be valid and those requirements have been further defined by that state’s case law. The basic requirements should be accessible in your state's probate code. It is prudent to speak to an attorney during an estate planning consultation so that you can be advised of all of the options available to you and the consequences of different plans. The value in the cost of the consultation is in the information the attorney can provide you so that you can make an informed decision. While the state probate code can list the requirements of a valid will, it will not inform you of the impact of case law and the implications of your will. I have often seen cases where an individual had prepared a will without consulting an attorney and then after the individual dies, the beneficiaries are surprised to find out the repercussions of the will is not what had been assumed would happen. 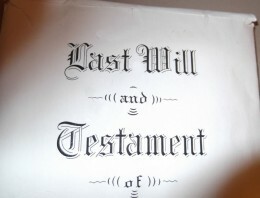 ​The executor is the person named in your will who will oversee the administration of your estate. He or she will work in conjunction with an attorney and will have a fiduciary responsibility to the beneficiaries named in your will. Depending on your state, the executor may have a statutory right to reasonable compensation for the time spent on administration. The person named as your executor does not have to be a beneficiary but can be. The individual chosen should be someone you trust. ​Do I need to name a specific guardian for my children? Will their guardian also be in control of finances left to them? In general, both parents should determine who they would like to be the guardian of their children in the event of their deaths and the person selected should be the same person. Unless there is a separate trustee named to control any finances of the child(ren), the guardian will have control over those finances and is under a fiduciary duty to the child(ren) for management of those funds. The proposed guardian can be named in your will. ​What is the best way to provide for my children financially? ​The answer depends on your personal circumstances, the age(s) of your child(ren), and their personal circumstances. One common method is to set up a trust for the benefit of your child(ren) where you can provide general or specific guidance for distributions of funds to or on behalf of your child(ren). A trustee would be named to manage the trust until either the age of majority or a specific time period that you have defined in the trust provisions. ​Under Illinois and Indiana laws, if you had a will prepared in advance of your divorce, any bequests to your former spouse will not be recognized. So long as parental rights have not been extinguished, the other biological parent of the child will become the primary guardian of the child irrespective of your intention to name someone else in the event of your death. A living trust is a trust that is created and effective during your life. A testamentary trust is one that does not become effective until your death. A living trust is prepared to manage the assets of an estate during and after the life of the person who created the trust. 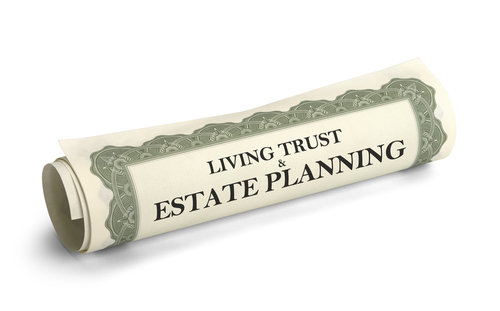 One primary advantage of a living trust is that any assets in the trust are not subject to probate administration. Another advantage is that trusts are private and not required to be available to the public. ​How is it different from a will? While both of them exist to manage assets, a will is does not have an impact on your present estate until the moment of your death. A trust can either become effective upon execution or upon your death. Following your death, a filed will is a public document and can be accessed by the general public. A trust is private and remains confidential after your death. Assets are classified as probate or non-probate. If the gross value of your probate assets exceeds the minimum threshold of your state probate code, your estate must be administered in probate even if you have a will. Any assets that are transferred into a trust are considered non-probate assets and will avoid probate administration. ​What types of tax issues are involved with either a will or a trust? ​The main concerns regard the federal and state estate and gift taxes. Neither a will nor a trust will automatically reduce your estate and gift taxes but certain trusts that are properly structured have tax advantages. The solution applicable to your personal situation will depend on your family structure, your assets, you distribution intentions, and your comfort level in maintaining control over your property. ​When do I need to consider asset protection? ​Asset protection concepts are not new nor are they illegal. Some tools in the estate and asset planner’s toolbox include incorporation of business activities, formation of limited partnerships, foreign domestic and offshore trusts, exemption planning, and asset titling. What IS illegal is when a fraudulent asset transfer is made or when you are attempting to conceal assets from creditors. A transfer is fraudulent when made for the purpose of avoiding a specific creditor or pending liability. Transferring assets after having knowledge of your liability and in an effort to avoid paying it (intent) is potentially fraudulent and can be disallowed. Laws vary by jurisdiction and transfers deemed proper in one state may be deemed improper in another state. Asset protection planning is helpful in various circumstances but the need is most obvious when someone already has a great amount of wealth to protect. Individuals of average wealth who because of their career or other personal circumstances have a higher chance of increased wealth in the future would also really benefit from considering asset protection strategies. ​What types of assets can be protected, and from whom? ​Highly valued assets of all types can be protected from creditors. I have heard that there are things that can be done while I am alive to make estate planning easier, such as adding someone’s names to my bank account now? There are several methods to employ in an estate plan to distribute your assets but they all have particular advantages and disadvantages which make them suitable for some situations and not others. The best plan is one that fits your needs and family structure given consideration to your assets, liabilities, intentions, and prevailing legislation. Every person over 18 should have a power of attorney for healthcare to authorize an agent to make medical decisions on their behalf in the event they are unable to do so. For example, if you are in a car accident and are unconscious, healthcare providers will look to an agent designated by power of attorney for decisions about your medical care. Another example is if you become afflicted with debilitating disease, e.g. dementia or Alzheimer’s, a power of attorney for healthcare is essential for your healthcare needs. Every person over 18 should also have a power of attorney for property. This legal document is wholly separate from the one described above. With a power of attorney for property, the agent is authorized to transact on your behalf with regard to your financial accounts and assets. This power of attorney is also relevant in the examples cited above when you would need someone to manage your finances when you cannot. The agent’s authority in a power of attorney for property can be as broad or as limited in scope as you feel comfortable with. What are their roles, duties, obligations? ​The primary role of the agent is to step into your shoes and make decisions as you would if you were able to in regard to the authority granted. The agent has a fiduciary duty to the principal to act in good faith as well as in the manner most consistent with the principal’s intentions or desires. They are obligated to act in a reasonable capacity to make informed decisions in the principal’s best interest with consideration given to the principal’s intentions. Agents must also keep records of their actions and sometimes provide notice or accountings to other individuals. ​Can I name more than one power or attorney? ​You can but you are ill-advised to do so because having co-agents inevitably presents opportunities for disputes which often become conflicts that wind up in legal battles. ​How much authority does a power or attorney give? ​As the principal, you determine the scope of the authority. ​Definitely! It is important to select someone you believe is responsible enough to have the authority as well as someone whom you trust. Many individuals see fiduciary designations as a birthright and will select the eldest child for that reason. However, someone else in your life may be better suited to the position because of intelligence, sophistication, or integrity. ​Can a power of attorney also make medical decisions on my behalf? ​Under the authority of a valid power of attorney for healthcare, yes. ​What is the process for appointing a power of attorney, and can it be revoked? ​Following a meeting with the person preparing the power of attorney where you will discuss all of the considerations mentioned above and determine who the agent and successor agents will be, it is a matter of signing the document before witnesses and possibly a notary. Different powers of attorney have different requirements for valid execution. All powers of attorney can be revoked. A common method of revocation is by destroying the original and, if possible, all copies of the power of attorney and notifying the parties of its revocation.